Inspiration comes to me easily, ideas drift across my mind daily but for me to know where their source is, where they come from? I look to my surroundings, I often find it there. 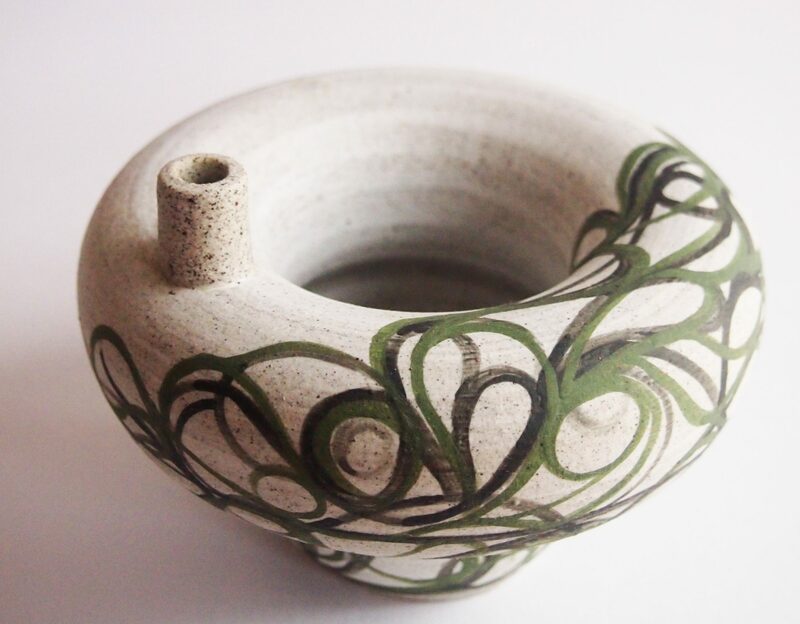 The ‘New Line’ in my work is loose, free, twisting and undulating. The Tea Tree is indigenous to the Mornington Peninnsula and Bayside suburbs of Melbourne, Australia. This year I’m looking to develop this line work throughout my pieces, till I have exhausted it. Same, same but different, each has what the other lacks but when together are beautiful. Black porcelain slip and inlay decoration. Here are my ‘Contrasting Pair’. Previous PostPrevious New line, porcelain bangles. Next PostNext New Line in pink.